Precision CNC machined from quality AL 6061 T6. Features a very wide split design. It's lightweight, super stiff, elegant and affordable. 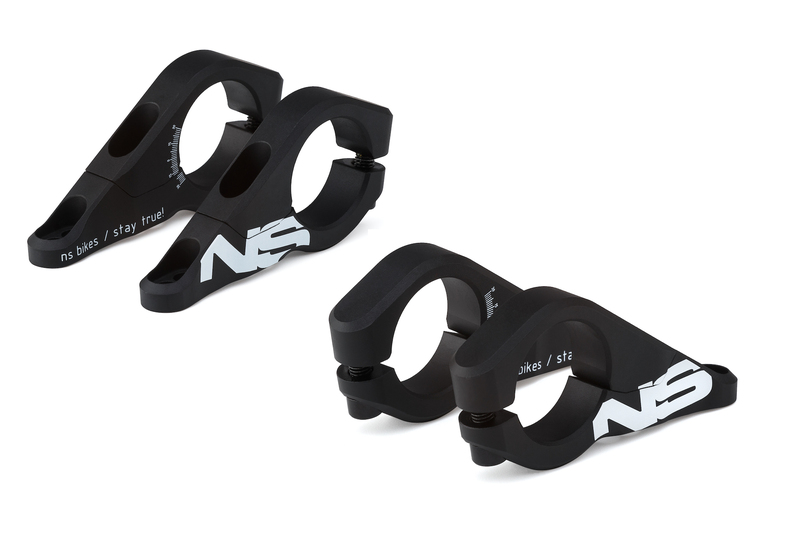 Compatible with RS Boxxer, Marzocchi and Fox double crown forks. The plus 180 degree clamp is designed to be threaded onto the handlebars from the sides, making the installation process easier. The adjustable reach has two positions: 43mm and 50mm. For 2015 it has been lowered slightly. 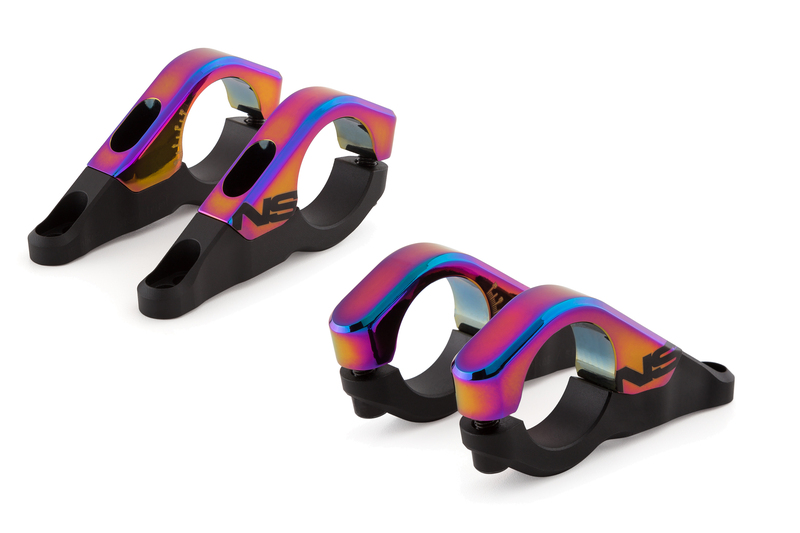 Stem used by the NS Bikes Factory Racing team. Front clamp: 2 x M6 bolts with 6mm Allen hex sockets – strong & light.